Content creation is no easy task. Trying to get people to read the entirety of what you’ve written? Now that’s nothing short of a full-blown battle! No matter how compelling the topics are, or how well we articulate our posts, the truth is, not many people read a blog post from start to finish. Most people skim over the whole thing in just a few seconds that should otherwise have taken at least a few minutes to read. So, how do we ensure the readers’ undivided attention? Make sure they at least get the important bits of the post that’ll be helpful and useful to them? Well, there are certainly a few tricks that help engage the readers’ senses and get them to pay more attention to the content. There is this obvious one: a well-written body of work. Some gifted writers are so crafty that they could write a blog post on how to put together an IKEA shelf and readers would gobble it up. But the thing is, not many writers are of that caliber. But that doesn’t mean us average bloggers cannot write posts that hook readers. We need to bring out a few tricks from our writing bags that may or may not have much to do with the writing process itself, but hey, anything to gets the readers’ attention, yeah? 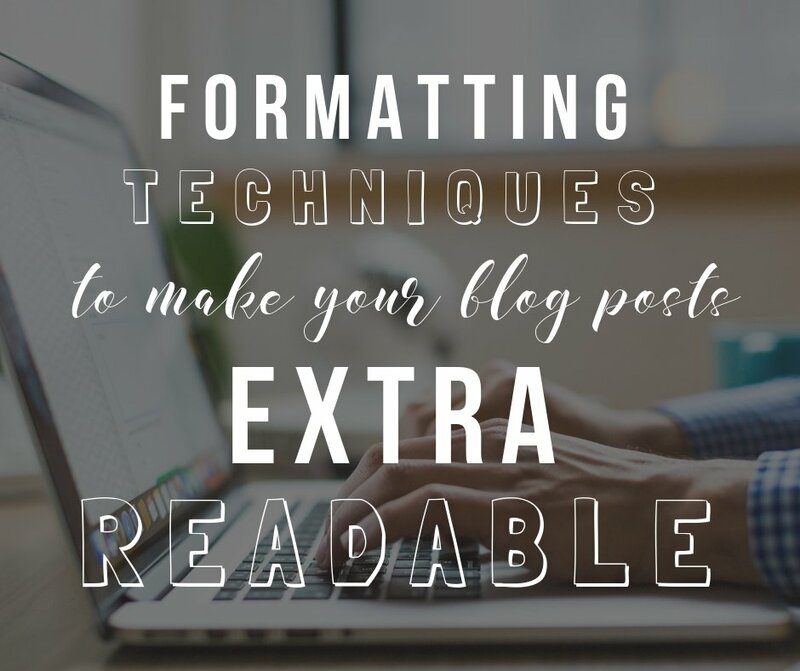 What if I told you that there are some super easy formatting techniques that can increase a blog post’s chances of getting read almost exponentially? Don’t believe me? You see, it all has to do with how our brains work. It’s pure science. My favorite blogger Jon Morrow always starts his blog posts with one single sentence paragraph. All the other writers on his blog follow the same structure. Each and every post starts off with 3/4 single sentence paragraphs, and then it builds up to longer paragraphs. It’s a potent technique. First of all, our brains react differently when reading off a screen vs. pages in a paper book. On screen, we tend to lose focus easily. Single sentence paragraphs, written in a way that captures our curiosity and attention, helps overcome the initial restlessness and resistance to reading. If you can write a sentence to hook readers, chances are they’ll go further than had you presented them with a novel at the very beginning of your blog post. 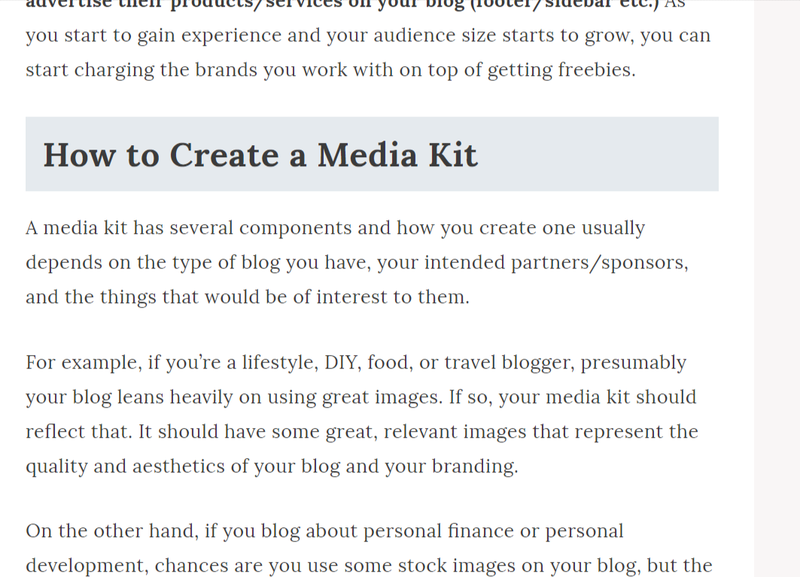 Leaving aside the very first sentence, we should always aim to have shorter paragraphs on blog posts. The reason is the same as I mentioned above. We tend to lose focus and interest reading off of screens much faster. Shorter paragraphs give the brain frequent breaks, helping it to refocus after the end of each paragraph. We are always doing it subconsciously, but if you can capitalize on that, chances are, your readers will be able to hold their focus longer. Your goal should be to write no more than 4/5 sentences per paragraph, on average, or 4-6 lines of text, whichever you hit first. Even as you’re writing shorter paragraphs, it’s better to switch up the lengths. If all the paragraphs roughly have the same physical length, the reader will start to get bored. Variation holds focus longer. Mix in single sentence (or just shorter) paragraphs with relatively longer ones to spice things up. Headings and subheadings are not only good for SEO, but they are also good for skimmers who like to get the gist of a post first before committing to reading the whole thing. A lot of readers (myself included) do this, wherein we read the headlines first to get a feel for what to expect, and to decide if reading the whole post would be worth our time. Headings and subheadings also break a post down into sections and subsections, which help the brain process the information better. And that, in turn, holds focus longer. Adding headings and subheadings on WordPress is really easy. On top of the post editor, you’ll see a drop-down that has all the text types listed (headers, paragraphs, etc.) Highlight the texts you want to make into a heading, click on the drop-down, and then choose the right heading. See image below. If you’re writing a really long blog post (typically over 2000 words), it’s a good idea to add a table of content. It serves the same purpose as having headers and subheaders in that, it helps the reader understand what the entire blog post is about, get an idea of the points that are being discussed, etc. And thus, if the topics are of interest to the reader, she will likely continue on and read the whole thing. Another benefit of having a table of content is that, sometimes, when a reader wants to revisit a section later, it helps her do that with just a click (make sure to have a clickable table of content). For WordPress bloggers, there are some plugins that add a clickable table of content with just a shortcode. It automatically takes headers and subheaders and creates a table of content. When you click on a section, it jumps to the respective header or subheader. Chances are, your reader is still just skimming. In that case, the least you can do is make the skimming easy. Every paragraph has one or two punchlines. The sentences that convey the real intention, while the other sentences act as fillers; these are transitional sentences that increase readability but do not provide any meaningful insight. Make the punchlines bold. This way, while the reader is skimming, their eyes will naturally be drawn to these bolded lines and they’ll end up reading them. This way, even if they’re not reading the entire thing, they’re at least reading the important bits, the bits that are actually useful. 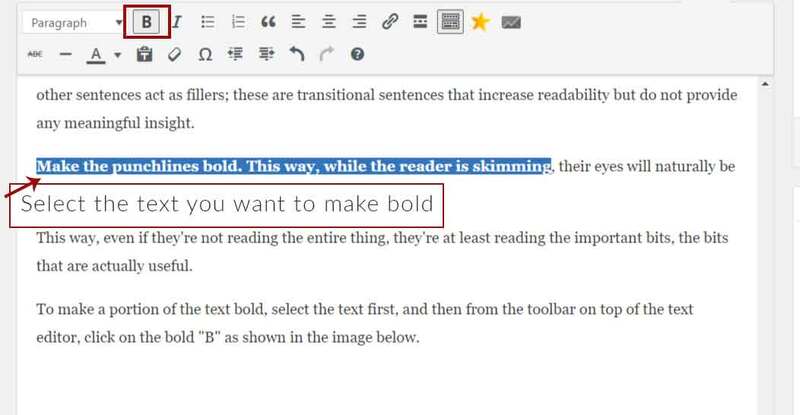 To make a portion of the text bold, select the text first, and then from the toolbar on top of the text editor, click on the bold “B” as shown in the image below. Often, especially in longer posts, you’ll have many sections and sub-sections. Make sure these sections are clearly separated from one another. Do so with a horizontal rule or some other kind of visual cue. You can do so with images working as a form of a separator or by styling an element in a way that’s clear indication that you’re changing the subject. Well, what do you think? Pretty easy right? 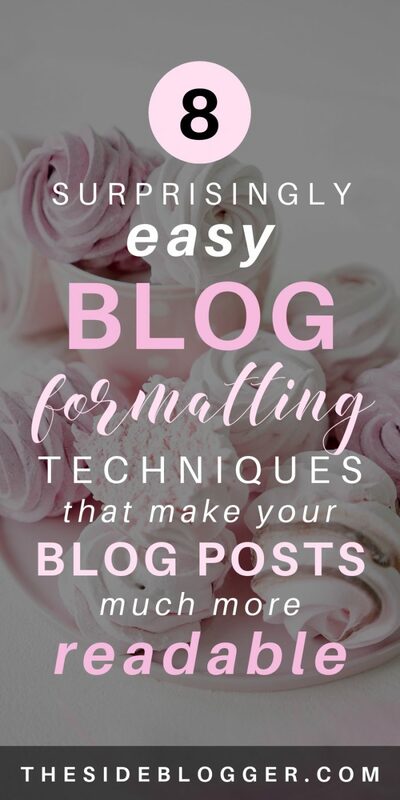 Sounds almost a little too simple, but trust me, incorporate them as often as possible and you’ll see that more people are reading your blog posts, take my word on that! 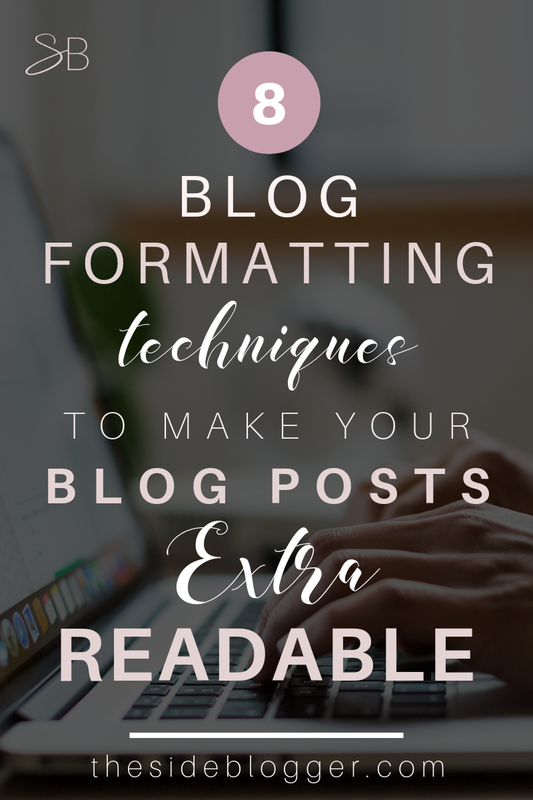 Do you have your own formatting tips on how to get more people to read blog posts? If so, feel free to let me know in the comments. I started to make my paragraph shorter but never thought of switching up the paragraph lengths. Its a great concept and less boring like you said for the reader. Ive been thinking about getting a new theme for my website but I want to try out your techniques as I believe it will give a huge boost to my posts! Took down lots of notes and bookmarked this page to refer back to when I’m fixing up my posts. Thank you for sharing your knowledge. Love your blog!! People these days often do not like to read long-form posts (or short… for that matter), so making them as easy to read as possible helps a lot. Brilliant post as usual and very timely as I’m starting to think about formatting for my new blog. I would love to know (and happy to pay you) for something similar to the little design icon you use as your first letter at the start of each post. It’s unusual and always catches my eye. I’m currently swamped with way too many projects, but you can easily get something like this; it’s called “dropcap”. I’m using a plugin called “Shortcode Ultimate” to use the dropcap functionality, and I’ve used CSS to customize the look. If you don’t know CSS, I believe you can hire someone on Fiverr or Upwork to get this done for you! Great tips Maliha. I have been looking for a table of content plugin with the ability to jump to the session it’s linked to. I don’t known if this one has that functionality but I will check it out. I have never actually tried to highlight my headings. It does make the text stand out and more readable. I will try this one out. Hey Grace, thanks for the kind words; appreciate it. 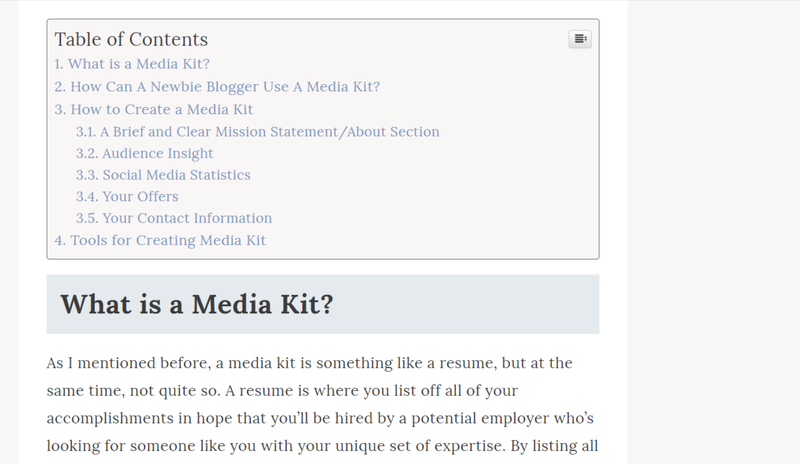 The “Easy Table of Content” plugin has that exact functionality! I use it on longer posts with different sections. You can see an example right on this blog post. Thank you, I have a Photography blog, i will use these tips for my future posts. Hey Piyush, glad you liked these tips! These are great tips thank you! I never would have thought of adding lines or changing the shading colours around my headings to make them more noticeable. One thing I’ve been trying to do lately is increase my font size to make the blog easier to read especially on mobile. I am glad to know that keeping shorter paragraphs is a good thing because that is what I do. I never thought of headers as being used for people who skim articles. Thank you for the tips! Hey Lanae, thanks for commenting 🙂 I’m glad you’ve found the post helpful. Please visit again! Thank you for taking the time to create this! All these tips were so helpful. Pinned to save for later. I cannot tell you how refreshing it is to read a genuinely helpful post about blogging that isn’t flooded with opt-ins, ads, and plugs for e-books. So thanks again! I’ll definitely be working to implement these tips more. Love the larger font size of your site, too! Hi Kristen, thank you so much for your kind words. I do have other posts that are… ummm… a bit salesy :p But I do try to mix things up, hehe. Gotta make moolah, eh? But really, thank you so much for this comment. Comments like this make me want to keep doing what I’m doing here. And I’m glad you like the font size. I designed and developed this site myself, and I wanted to make it as readable as possible. I hope you’ll come back here for more in the future.